Observers on Tuesday applauded the news that President Trump plans to sign an executive order moving the whole of the federal government's security clearance process to the Defense Department, although they said much still needs to be done to address problems with background investigations. 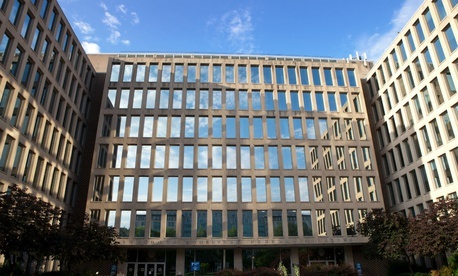 Nextgov reported that the whole of the National Background Investigations Bureau, including its workload, offices and personnel, will transfer from the Office of Personnel Management to the Pentagon. Last year, Congress included in the National Defense Authorization Act a provision moving background investigations for candidates for Defense Department posts—about 70 percent of NBIB’s workload—to the Defense Department. NBIB Director Charles Phalen supports the move, arguing that bifurcating the security clearance process would have been “debilitating.” And observers, like Lindy Kyzer, senior editor at ClearanceJobs.com, a website focused on jobs requiring federal security clearances, agree. But the decision likely will not fix any of the longstanding problems with the security clearance process. Lawmakers and government watchdogs alike have bemoaned backlogs in the hundreds of thousands for job candidates awaiting background investigations before they can be hired to key jobs. Kyzer said that if the White House did not move all background investigations at once, the federal government could have seen a labor shortage that actually exacerbated the existing clearance backlog. As the plan moves forward, there will likely be some growing pains, mostly at the field office level, Kyzer said.